Putting on a conference, workshop, or a company retreat? This 200 mm x 150 mm, white sticky note pad makes a great writing tablet. The sticky note pad contains 40 sheets of white paper, a backing paper as the last page, and an adhesive strip that can be positioned on any one side of the sticky note pad. Great ideas and important discussion notes can be written on the sticky note pad and then fastened to walls and white boards as a way to highlight and/or help facilitate the conversation. Unlike regular-size notepads, these sticky note pads can go inside a purse for safe-keeping so that it is easily accessible. Your conference attendees or staff members will appreciate the giveaway. They will walk away from the event feeling informed and appreciated. The products clean-white paper can be customized with any full-colour image or wording to make a visual impact. This could include your company logo, mission statement, or important dates to remember. We do, however, recommend that the imprint area be no larger than 50% of the page size so that there is maximum writing space for the end-user. The functionality and organizational uses for these larger 200 mm x 150 mm-sized, white sticky note pads are endless. 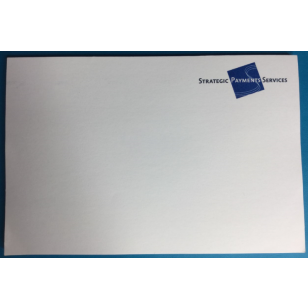 Be sure to purchase your company-branded sticky note pads today. Did you know this same sticky note, is available in an Eco friendly version, made from recycled paper? 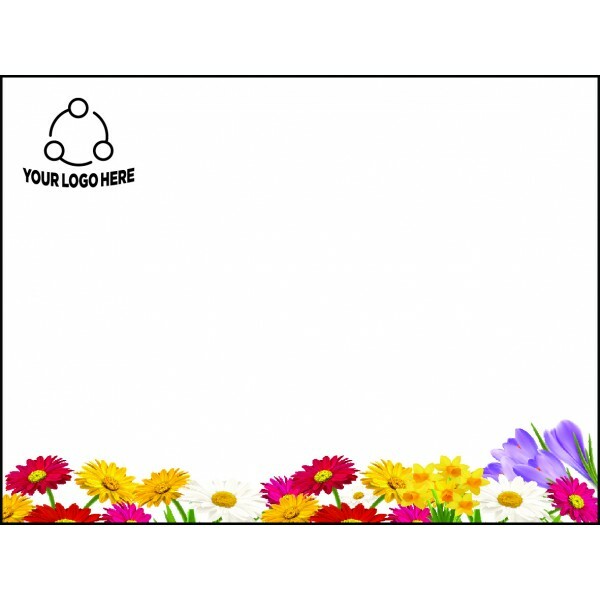 See our full range of eco friendly recycled promotional sticky notes.